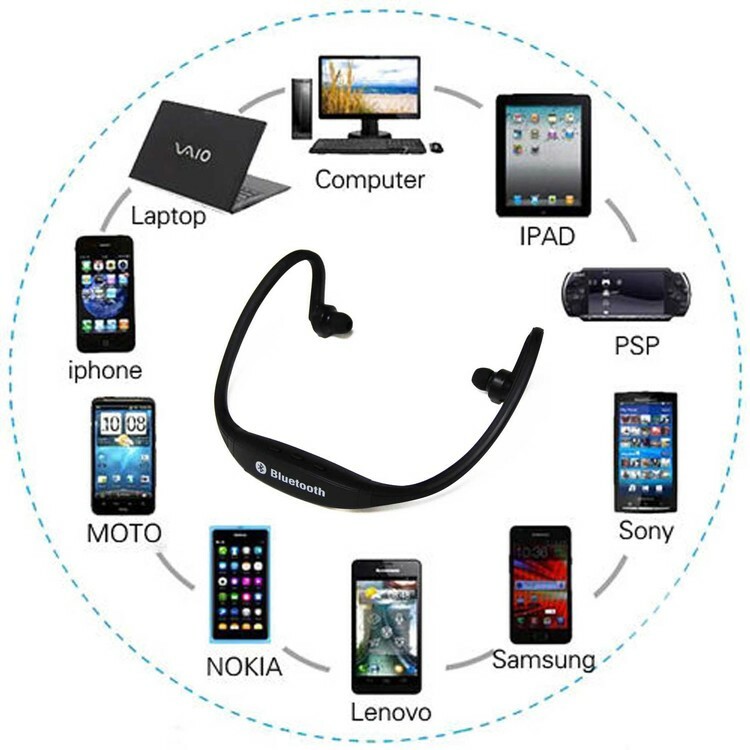 Wireless Bluetooth Headphones for Smartphones and Tablets The Bluetooth Stereo Headset Features: Listen to music wirelessly. 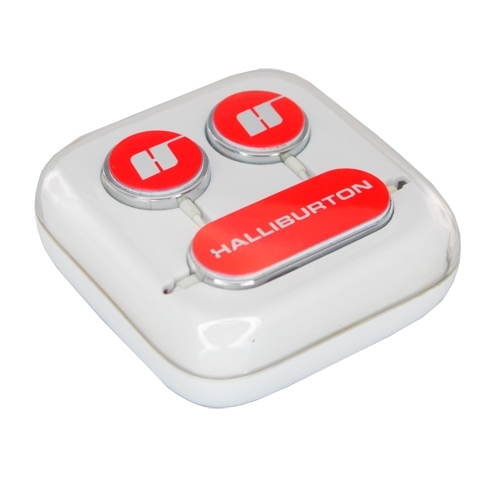 Accept incoming calls or shuffle between tracks with the touch of a button. 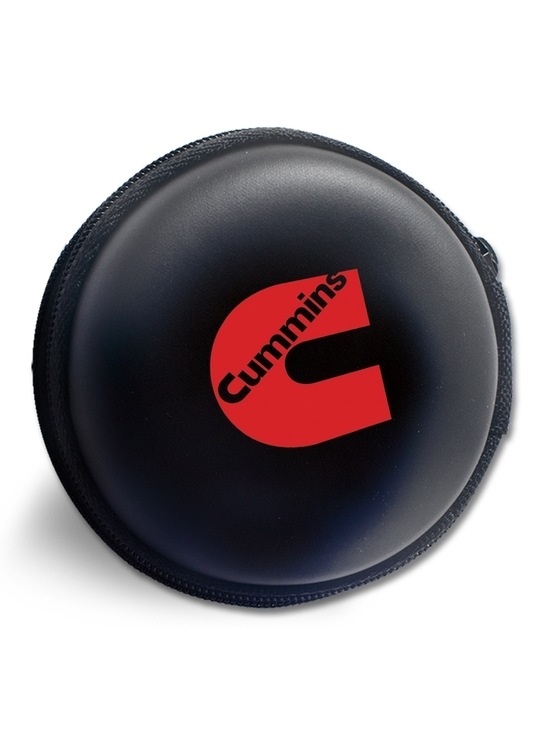 High-quality speakers deliver crips, rich sound. 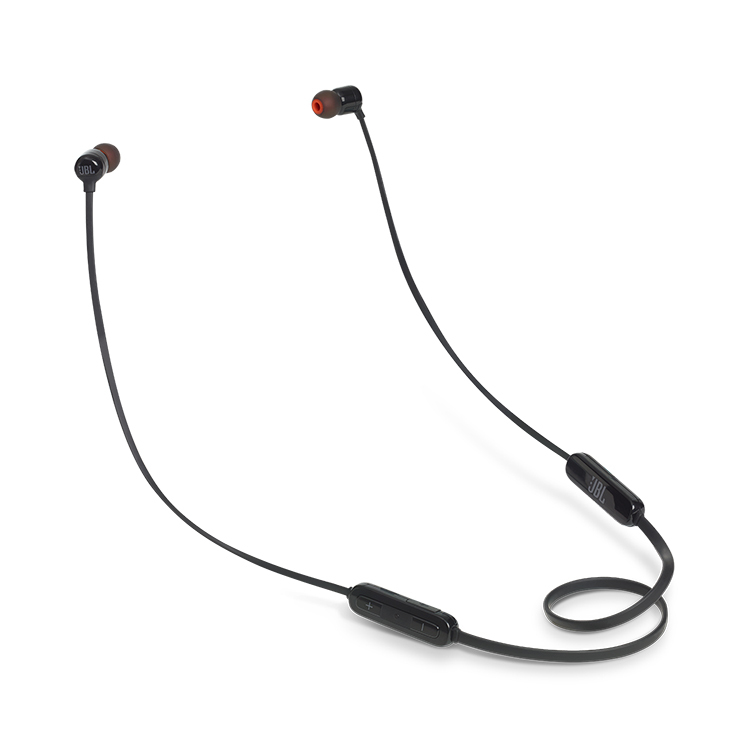 Lightweight, comfortable design for all-day listening. 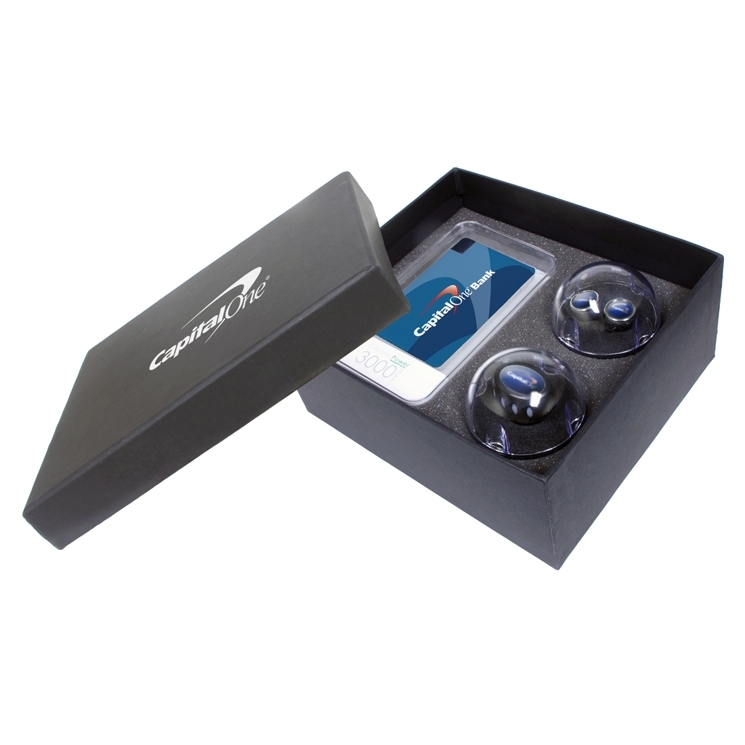 Compatible with nearly all bluetooth enabled devices, such as iPhone, iPad, Galaxy, Tablets, Cellphones and more. 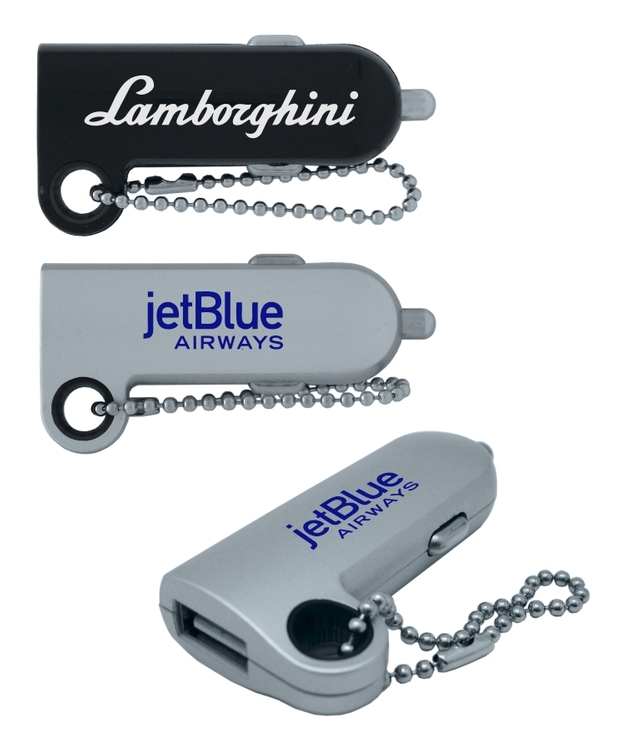 Easily charge via USB port using the included Micro-USB cable. 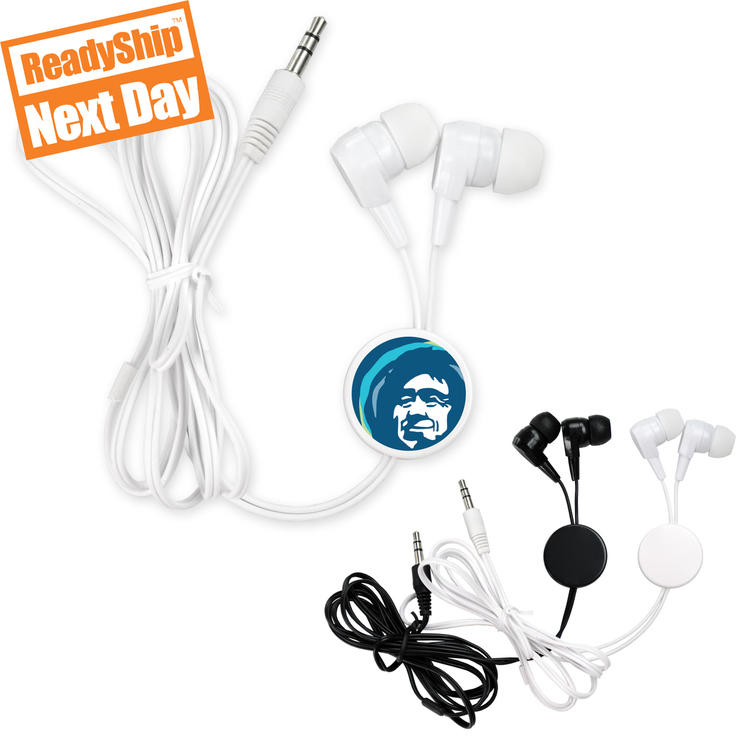 Zipper ear buds. 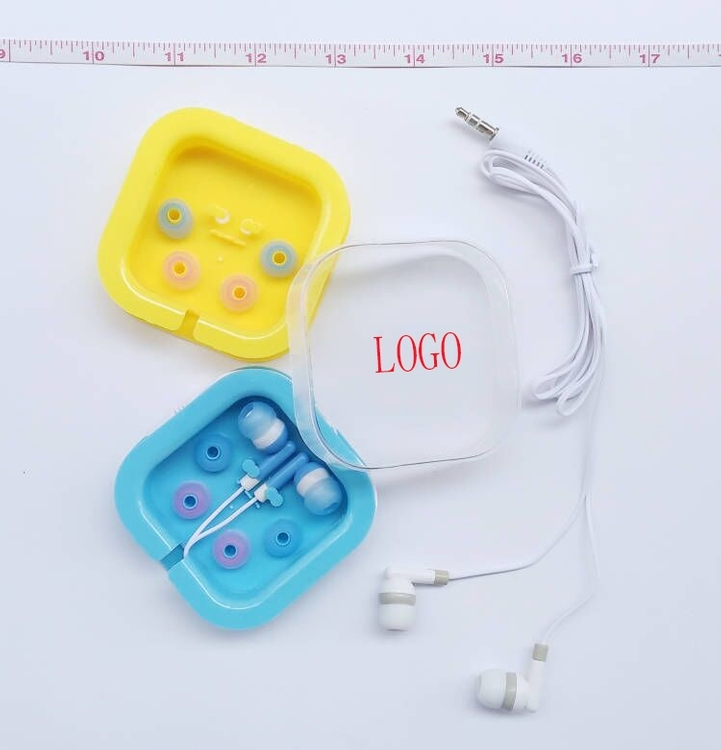 These ear buds can be unzipped for use and zipped back up and put in their case for easy storage. 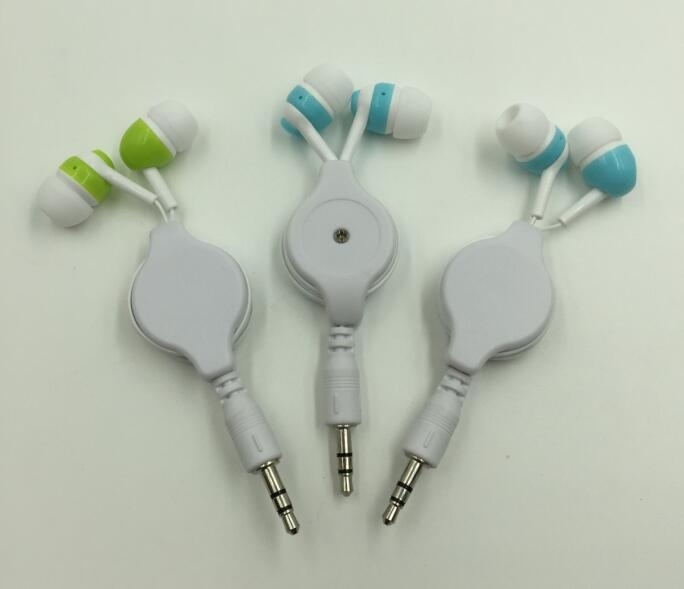 Suitable for smart phones, digital music players, and computers (3.5mm connector). 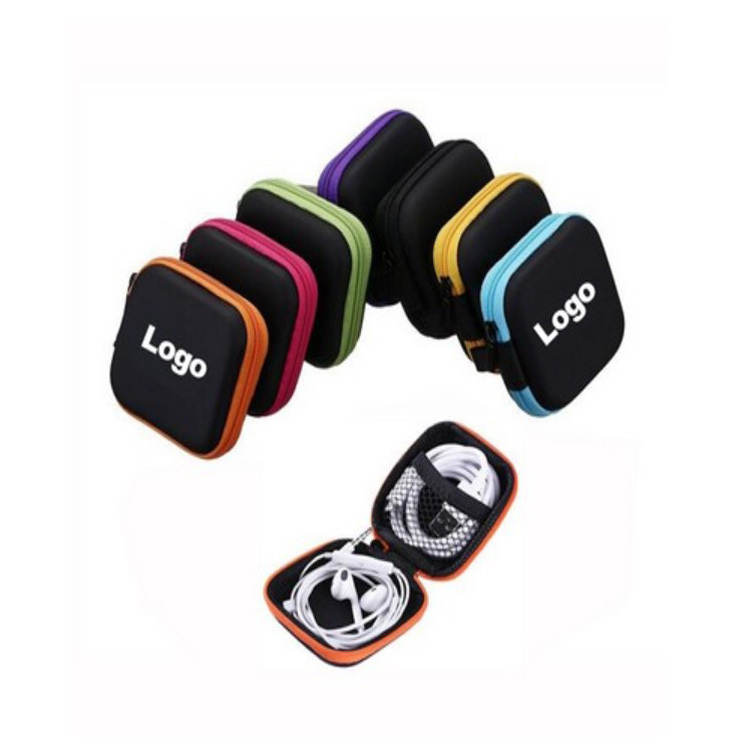 Case measures: 3 1/4H x 3/1/4W x 1 1/4D and ear buds measure: 46 long. 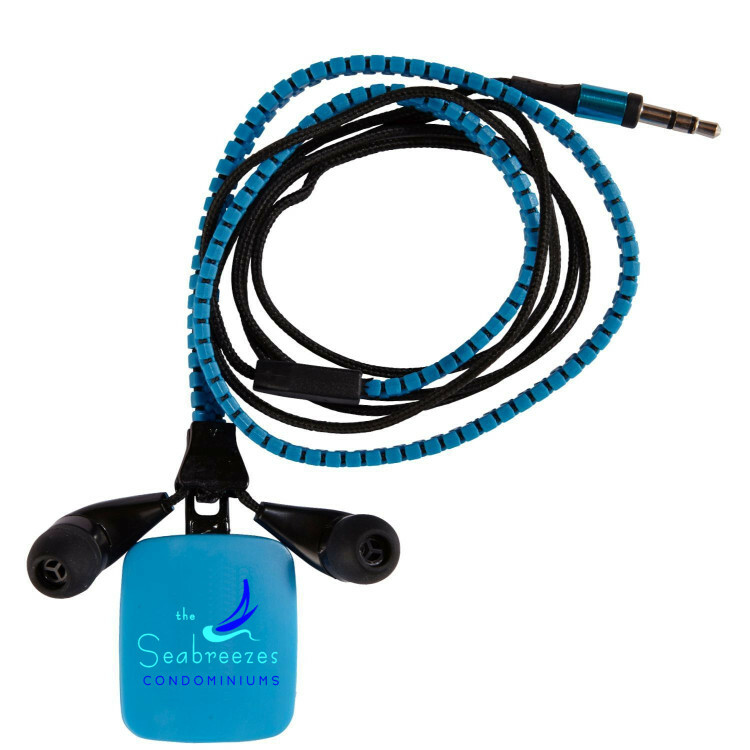 The elastic earbud can tidy your cords clearly when listen your music on the go. 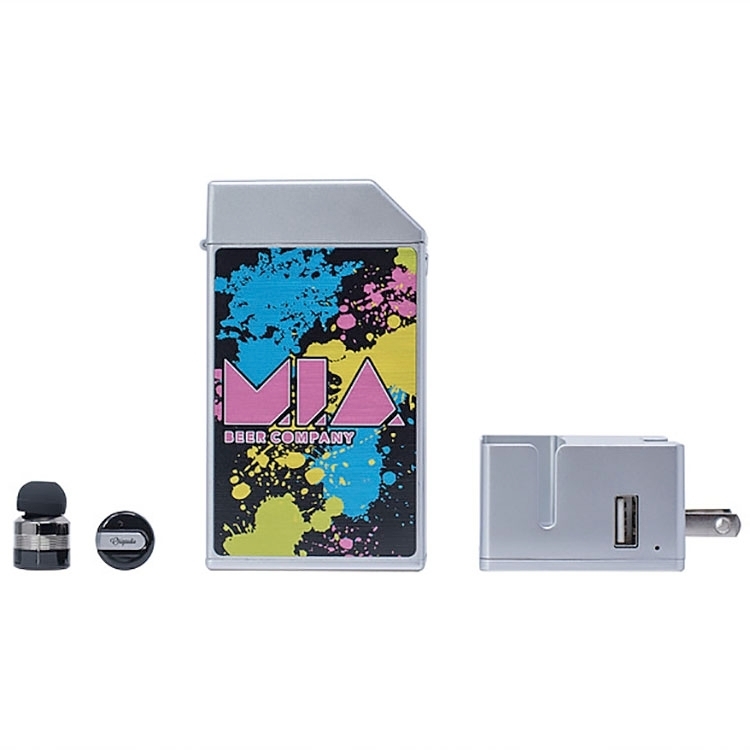 It is compatible with most audio devices such as phones and MP3 MP3/MP4 players. 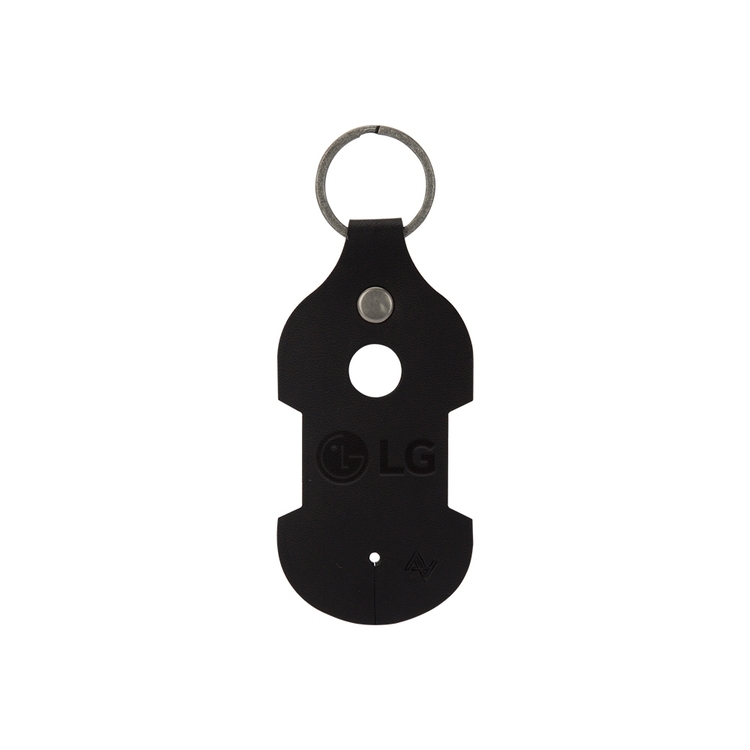 It is good for sporting events, exercise or travel. 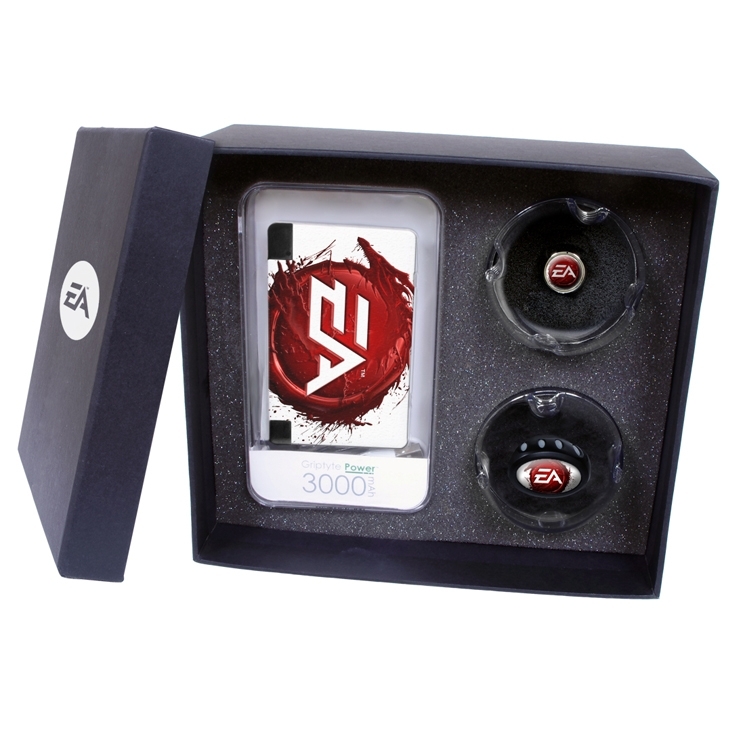 It can be used as gift, fairs, anniversary celebrations, advertising promotions, festivals, birthdays and more. 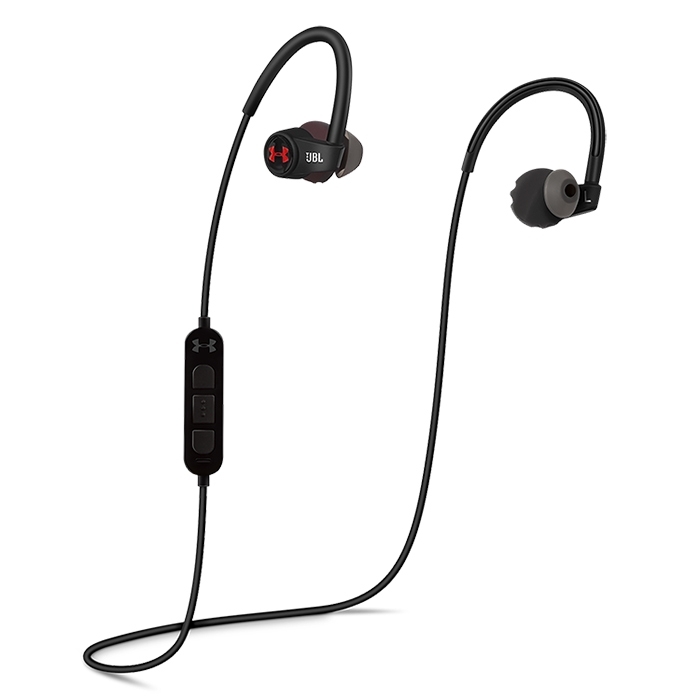 Take your calls and listen to music with these stylish and comfortable wireless stereo earbuds. 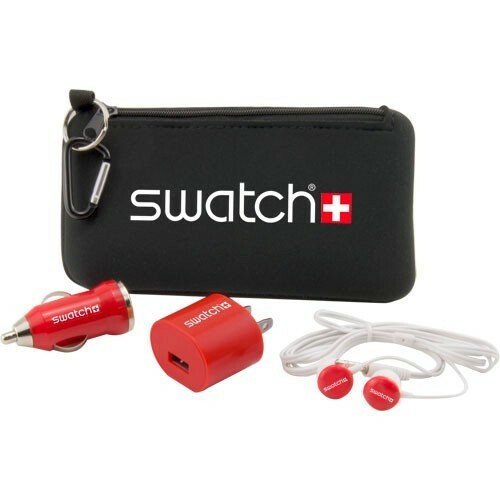 They?re the perfect accessory for a busy life, whether you?re at the gym, getting to work, or puttering about the house. But don?t let their small size fool you: they?re fully loaded with functions. 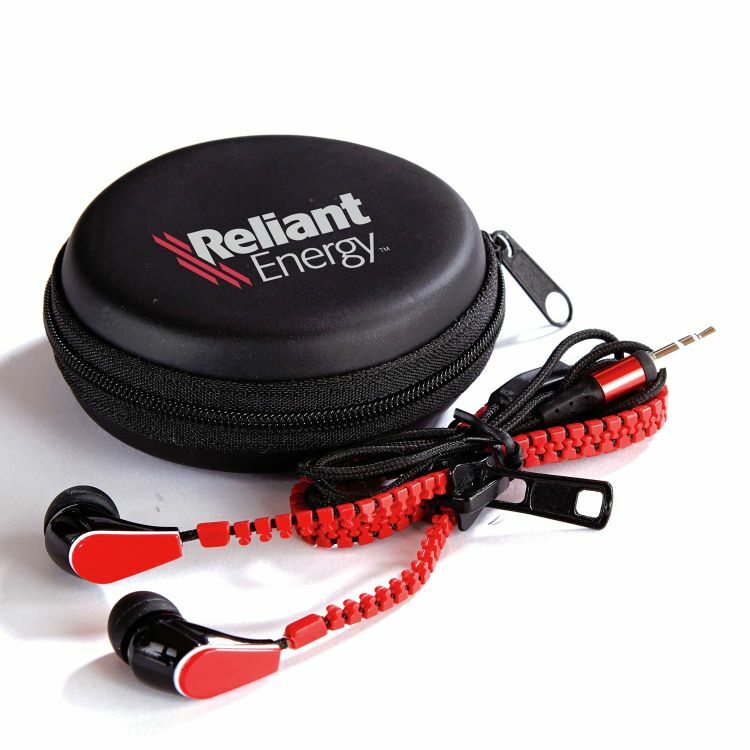 Answer a call, redial the last number, or put a call on hold while you answer another - or play your music and skip songs, all for up to 7.5 hours after just 2 hours of charging. 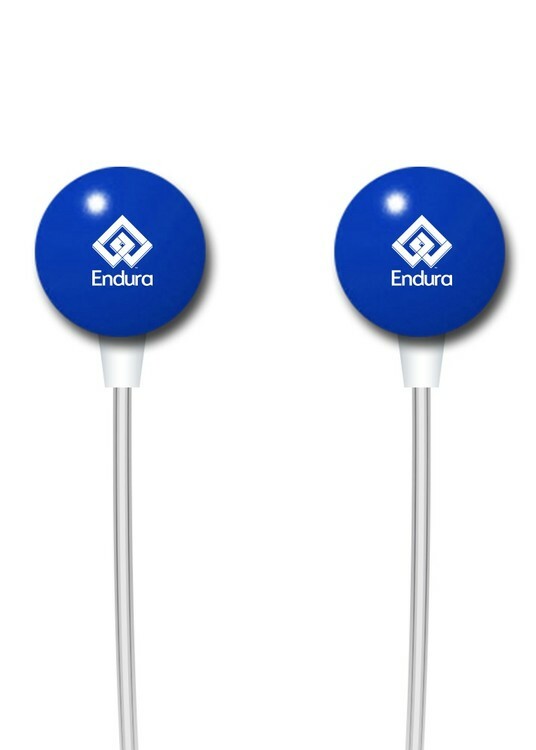 Show off your logo on the earbuds? 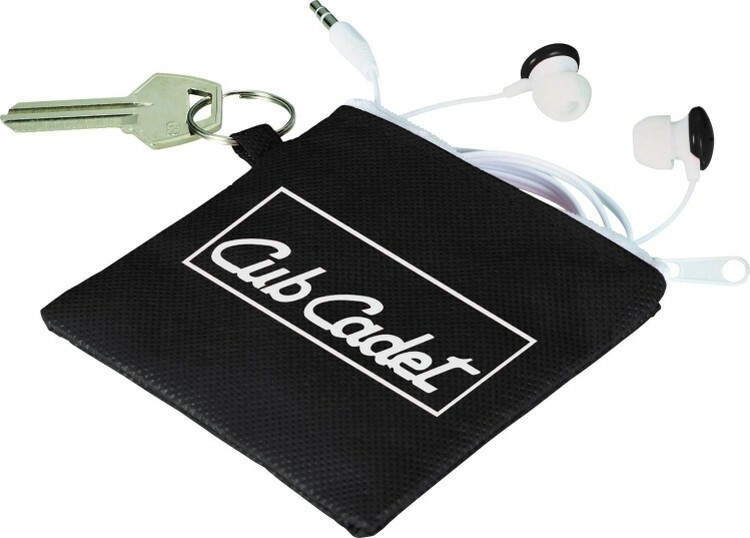 smooth, glossy finish or on the zippered case. 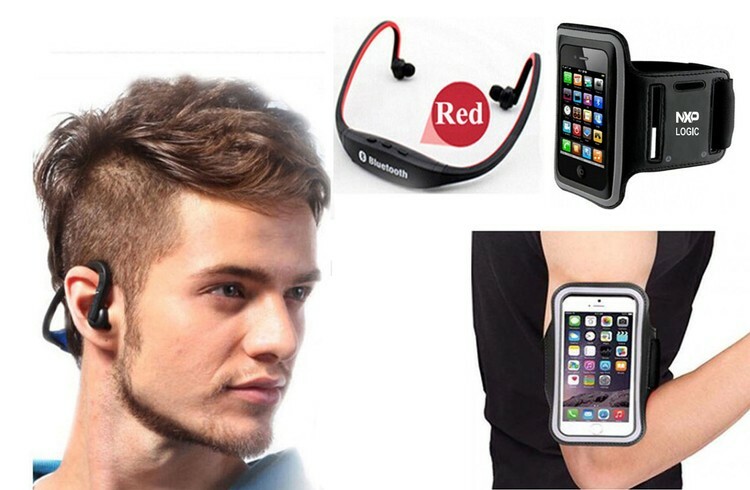 Wireless Bluetooth Headphones for Smartphones and Tablets + Universal Sport Armband The Bluetooth Stereo Headset Features: Listen to music wirelessly. 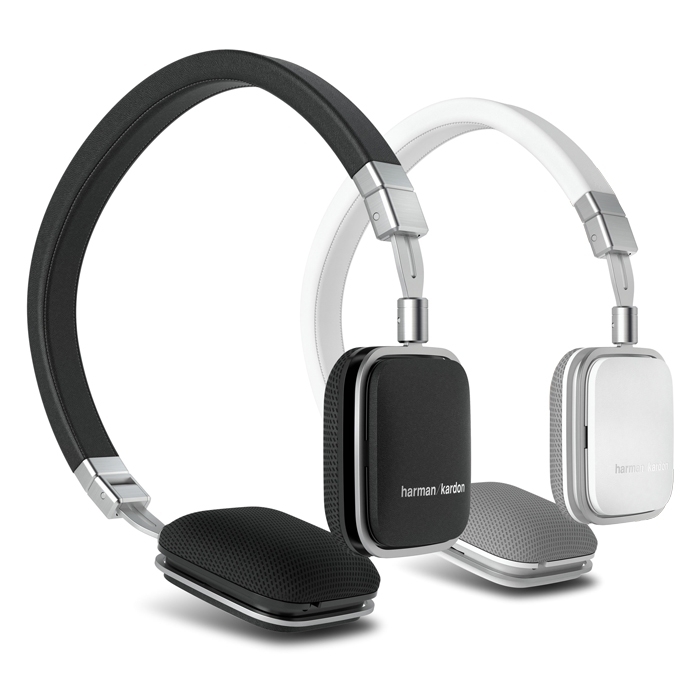 Accept incoming calls or shuffle between tracks with the touch of a button. 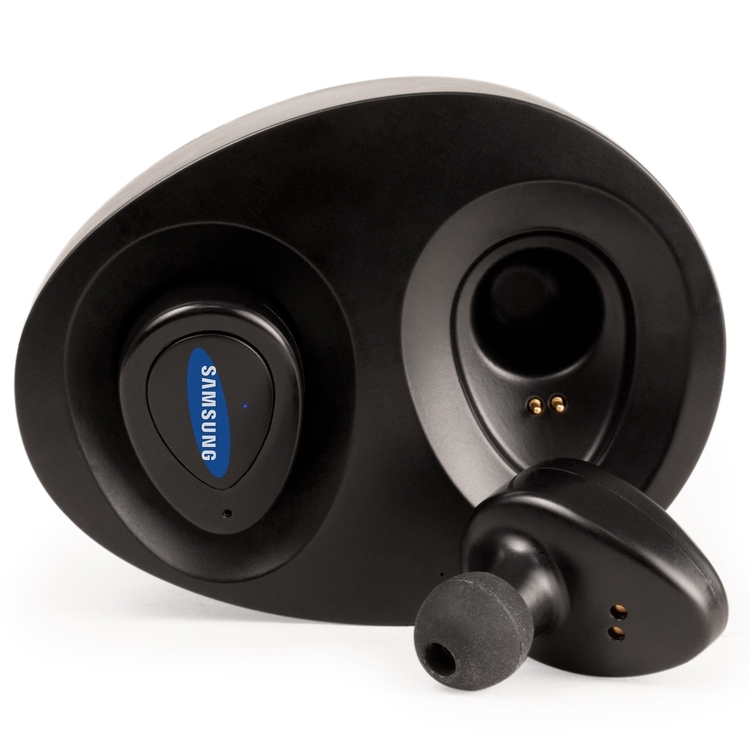 High-quality speakers deliver crips, rich sound. 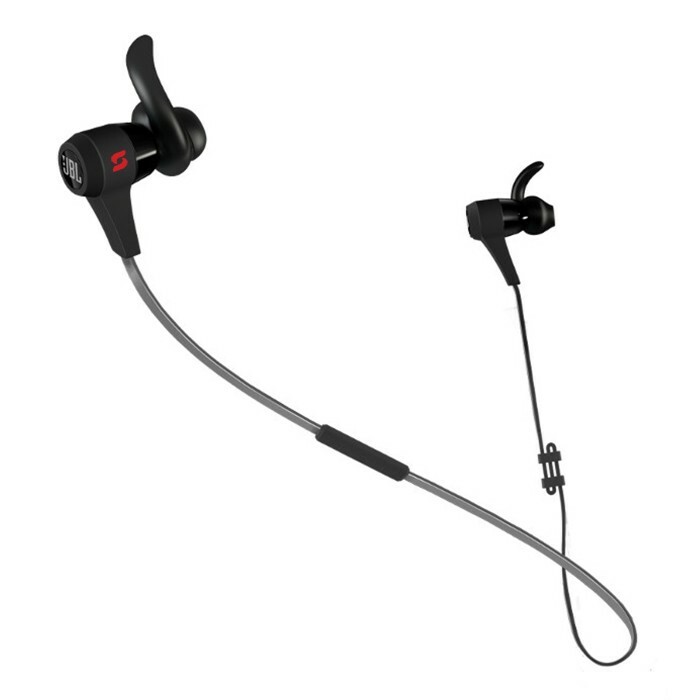 Lightweight, comfortable design for all-day listening. 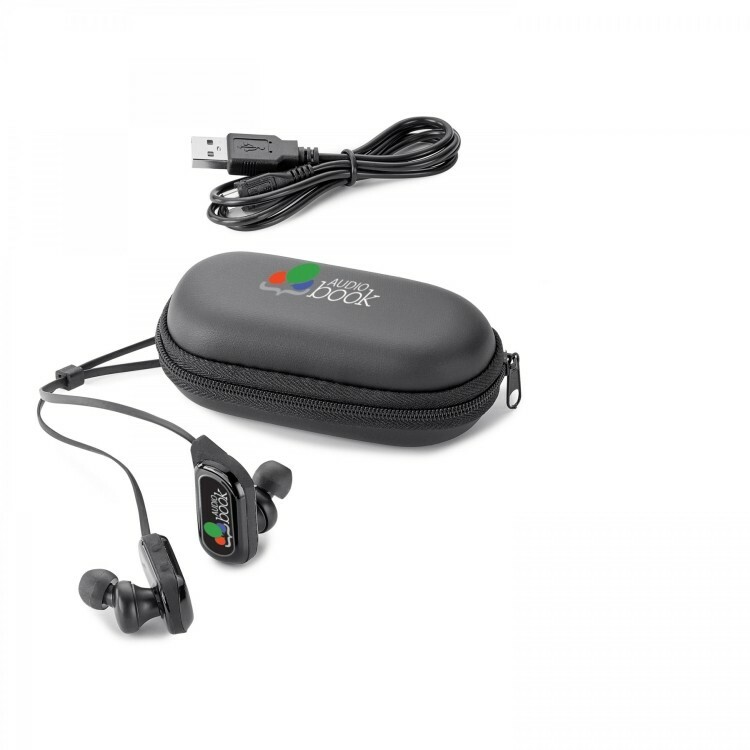 Compatible with nearly all bluetooth enabled devices, such as iPhone, iPad, Galaxy, Tablets, Cellphones and more. 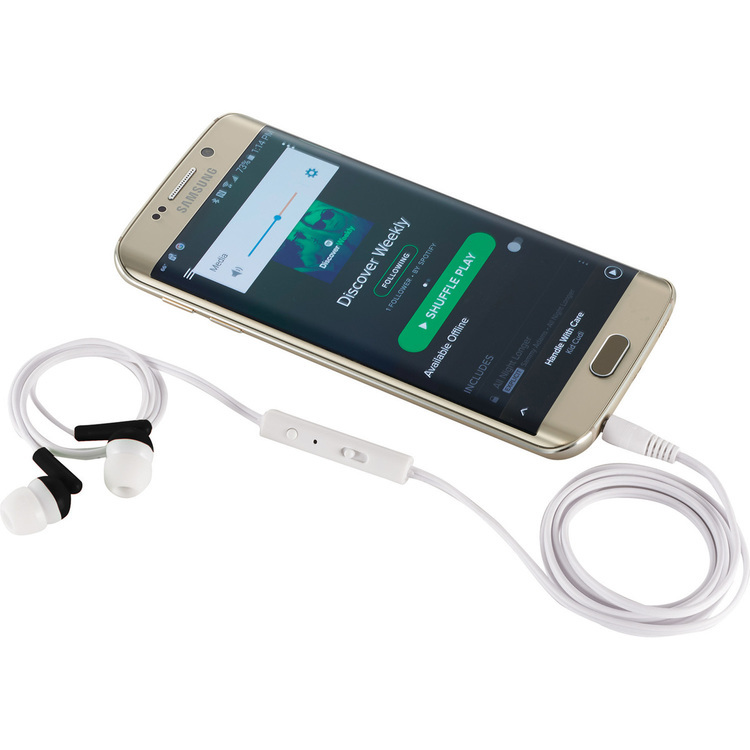 Easily charge via USB port using the included Micro-USB cable. 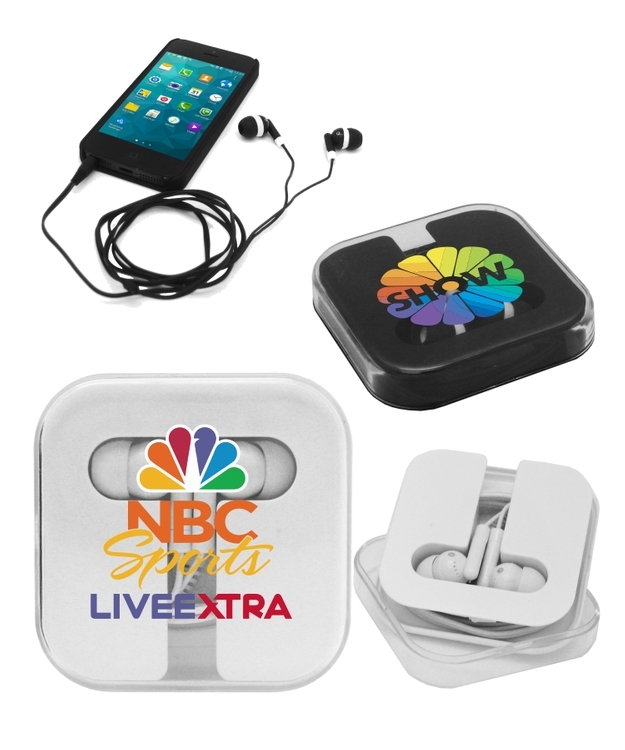 They'll gladly lend an ear to hear about this fun promotion! 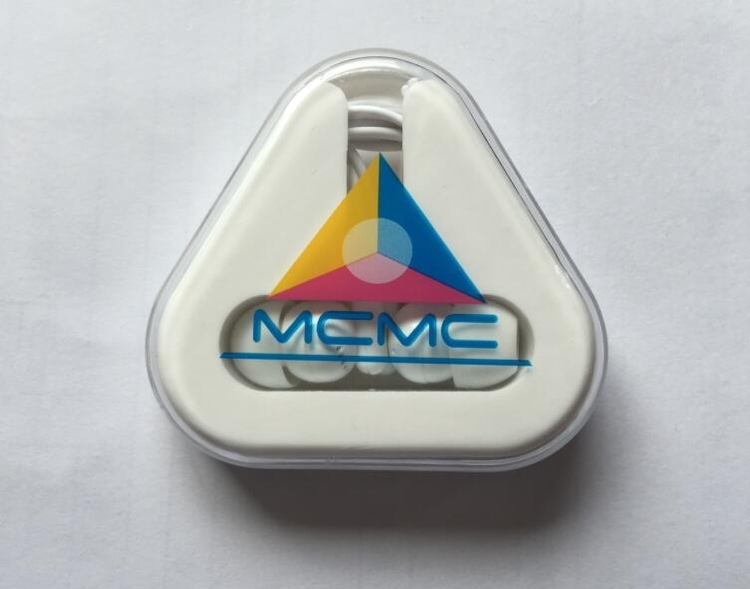 Connect to your computer, smart-phone or any other audio device using this simple set of promotional earbuds with a full color, decorated slider. 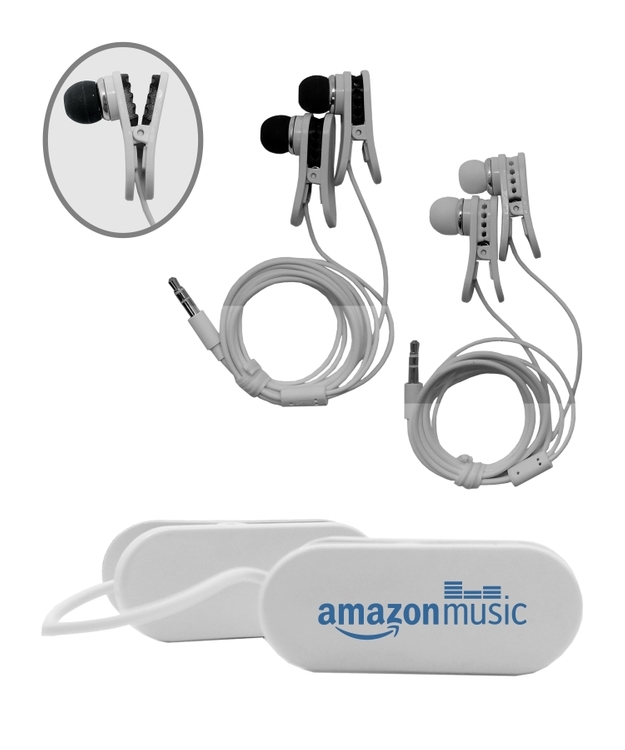 Producing a crisp, clear sound, these earbuds are ideal for marketing events and trade shows. 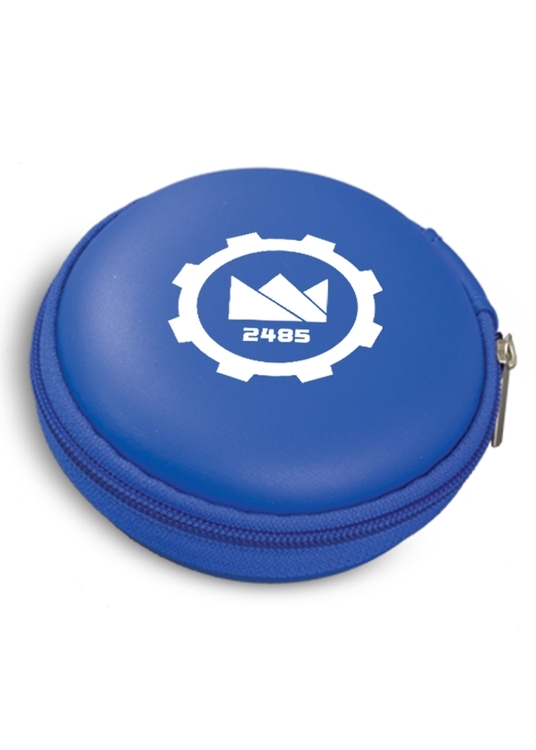 Travel tech holder. 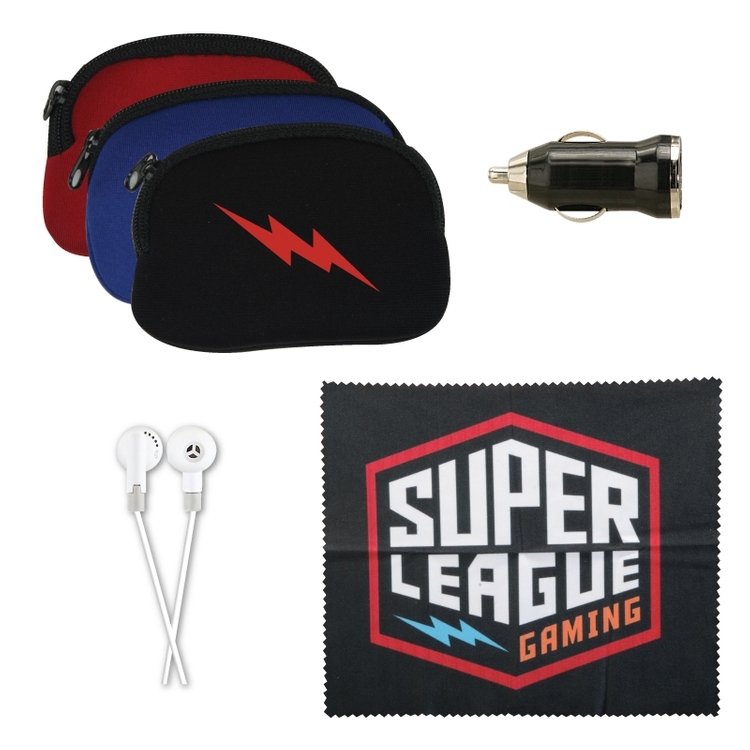 Cell phone case with an oval charger, power adapter and earbuds.